Have You Heard About Mystery Island? I was thinking about these dichotomies – Believers vs. Non-Believers, Faith vs. Non-Faith, Religion vs. Science – and all of the intellectual debate that takes place around them. I was touched by a conversation that I had with a friend recently, who said, “the more time goes by, the more I am convinced that there is no God.” A quote from Stellar Man, by Dario Salas (aka: John Baines) came to mind – “Reproaching those who accept a certain idea in blind faith is justified, but at the same time it is correct to condemn those who reject an idea without rational analysis. This phenomenon (anti-faith) certainly prevents all impartiality, which is the basis of deep and true reflection. It is harmful to have blind faith, but it is just as bad to have blind anti-faith.” Well said. To illustrate Salas’ point, I thought about an analogy that I call Mystery Island (which may very well have been played out for real, as various lands of the world were discovered over the past thousands of years). A man (or woman) makes an adventurous trek to a remote, recently discovered island that only a handful people have been to, which does not have an airport or any flights that go there. 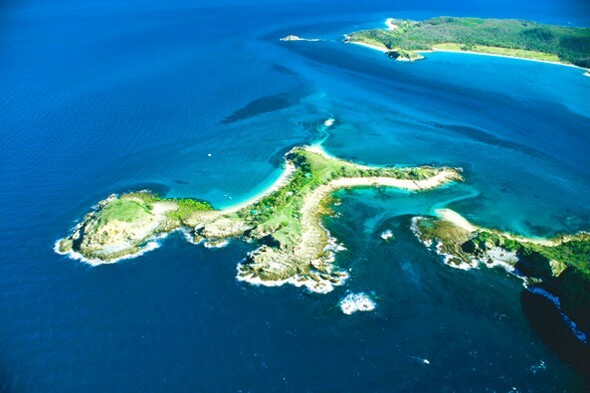 There are some unique elements to this island, such as the types of fruit, foliage and wildlife that exist there – entirely new species; it is unrivaled in its splendor. It is not formally claimed or recognized as of yet, as the routes to get there are treacherous. Upon his return, the explorer meets up with three friends, and shares with them some stories about this magnificent place. Friend #2, on the other hand, is completely awed by the stories of the island, asking lots of questions and even taking notes. He believes everything that the traveller says. Later he goes on to tell other people about this island, and begins making all kinds of plans to go and experience it for himself. Years go by, and he never actually makes it there. But he keeps talking about it, as if he’s been there. He has even innovated some of his own stories about the island based on his research and own ideas of what it might be like. Friend #3 listens intently and with great curiosity as well. He is intrigued, and feels a strong intuition about what he heard from the explorer, and starts doing more research. He asks about others who have been there, and wants their contact information, so he could converse with them as well. Although he knows it is a difficult journey (i.e. the way people after Christopher Columbus aspired to make the journey to America), he is intent on confirming the existence of this special place, and experiencing it for himself, in all of its glory. He makes the long and arduous journey, and verifies it. When he arrives, it is even better than what he expected. He now has his own proof; upon his return, he sees the original explorer, and they give one another that knowing smile, one that signifies a connection between two people that have experienced something special – yet each having gone through the verification process in their own way. Carefully observe the three different reactions, and contemplate objectively – what would be closest to your own? The moral of the story is that Friend #1 and #2, in spite of polar opposite reactions, are in fact, exactly the same [The Law of Polarity states that opposites meet] – they are equally lazy in their blind adherence to whatever it is that suits their own character flaws. They both have their reasons as to why they are “certain” about their beliefs, and rationalizations for not being able to pursue the actual journey to Mystery Island. Their whole lives go by without ever going there, while they continue to cling to their convictions about its existence or non-existence. Friend #1 – the one of blind anti-faith, never gets there (although he may be capable) because he does not want to; he either has not received inspiration yet, is scared to face the reality of its potential existence, and what confirmed knowledge of that existence would demand of him, or it just doesn’t support his mechanisms and current view on the world. Friend #2 – the one of blind faith – has certainties about the land’s qualities that he does not really know about – and is in fact wrong about many of his assumptions. He has simply taken the idea of the island as “an ideological system which justifies his own defects and stimulates his hidden dreams.” (ref. Salas, who follows that point by reminding us that “profound understanding is not a footpath of faith and self-conviction. Without authentic understanding, nothing real is gained, only subjective illusions.” He has no real on-island experience, but is satisfied with the idea of it. For him, the mystery is more of a Fantasy Island. Friend #3 – the walker of the Path – not only has direct knowledge of the island, but the will and capacity to go there whenever he wants to. He gets to enjoy the land’s rare fruits, even bringing some back to the mainland from time to time. He has authenticated for himself that real learning comes from self-taught knowledge, which can be inspired by information received from authentic sources, such as a teacher or friend. My browser isn’t letting me ‘like’ this but by golly I do…you make so much sense. There’s nothing in talking the talk if you aren’t walking the walk, and words are idle and empty if they are left around littering the place uselessly. The Sufism I see around me is so often that of Friend number 2, even though Sufism is nothing if it isn’t direct witnessing (shahada) of the Divine Real. And that witnessing is certainly not confined to Sufis. A great blog post, mabruk!